Friday Wrap-Up – News and New Beers from Big Spruce, Picaroons, YellowBelly, Pump House, and more! Happy Friday everyone! Another busy week in AtlCanBeer News, so let’s get right to it! 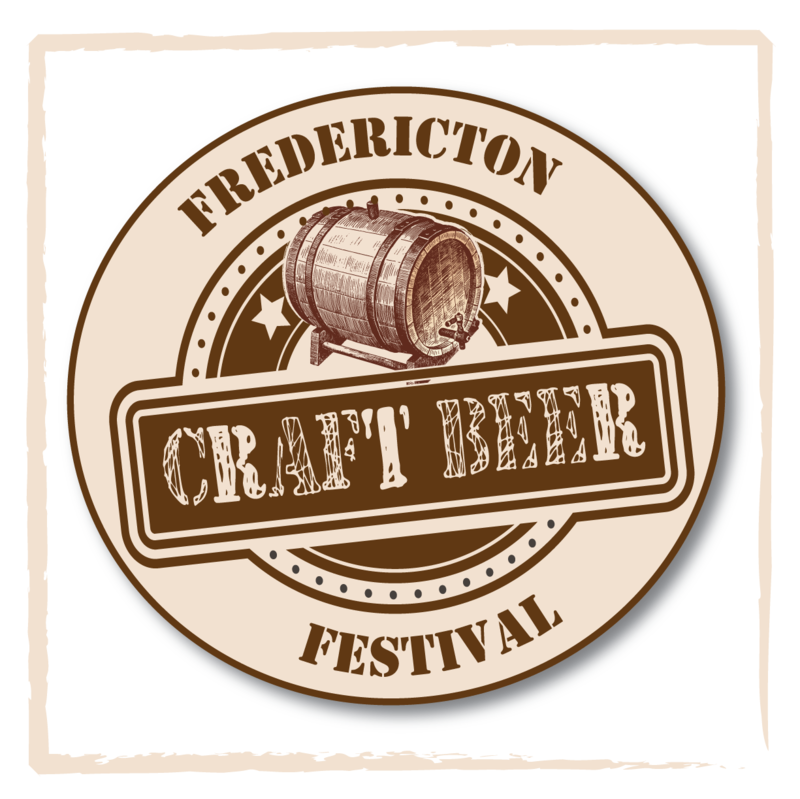 • If you caught yesterday’s post on this year’s Fredericton Craft Beer Festival, you may have noticed that Big Spruce has brewed up something special for the event: UnRYEvaled Chocolate Rye IPA. We now have some more details on this tasty-sounding beer. Brewed with a grist containing 20% Rye malt, and a touch of malted Chocolate Rye, it’s hopped to 54 IBUs… with most of those IBUs (42, approximately) coming from late additions (the final 10 minutes of the boil, and during the whirlpool), which means lots of hop flavor and aroma! In fact, this beer features the largest late hop additions of any Big Spruce beer, according to owner/brewer Jeremy White. Hops used in these late additions include Simcoe, Citra, and Amarillo, so expect an extremely-hop forward beer, featuring “layered spicy notes, with complex citrus and pine flavour and aroma”; it weighs in at about 7.2% ABV. While this beer will pour for the first time ever at FCBF, it will later be available at the brewery for growler fills, and on tap at select locations in Nova Scotia. And in big news for HRM lovers of Big Spruce beer, they sent down a pile of kegs to be poured at RockHead’s popular growler station. Last night saw the debut of Cereal Killer Oatmeal Stout available in take-home packaging in HRM, and Kitchen Party Pale Ale and Mr IncREDible are waiting in the wings. • Picaroons has released another one-off beer brewed on their small system at the Brewtique. Scotch Ale comes in at 7% ABV and 28 IBUs, and features a grist containing Golden Promise malt, some Crystal, and a good amount of Roasted Barley. It’s described by the brewery as being full-bodied, with “plenty of roasted characteristics that are all held together by an earthy Fuggles hop undertone”. It should still be on tap at the Brewtique for growler fills; in addition, it can be found this week at all four ANBL growler fill locations. • There’s lots of brewing going on at YellowBelly Brewpub in St. John’s, Newfoundland! They will be celebrating International Women’s Day March 8th by brewing up a collaboration brew as part of the IWCBD initiative, and all women are invited to take part! “Brunch, Beer and Brewing” is the theme of their event. Tickets are $50, $20 of which is donated to the Newfoundland and Labrador Sexual Assault Crisis and Prevention Centre. For your admission fee, you will enjoy a flight of Brewmaster Liam McKenna and Assistant Brewer Nardia McGrath’s four current offerings: Wexford Wheat, YellowBelly Pale Ale, St. John’s Stout and Fighting Irish Red, as well as a hearty brunch prepared by the kitchen. You will also be hanging out in the Brewhouse with Nardia and Liam, while they (and maybe you!) work to create the Unite Red Ale, mashing, boiling, and transferring the beer (hey, it’s not all fun and games!). Uniting the 75+ breweries taking part in the Collaborative Brew Day will be the recipe, a dark red ale (21 degrees SRM) weighing in at 4.6% ABV and 50 IBUs (from Willamette hops), with some dry-hopping likely happening later in the process. And when *your beer* is released, you will enjoy your first pint of the brew on the house! Tickets are available now at the Brewery, so be sure to pick up yours today to avoid disappointment. The Collab Day kicks off at 10:30, and $1 from every pint sold that day will also be donated to the NLSACPC. • In more YellowBelly new beer news, they’ve brewed up this year’s version of an annual favourite: Paddy’s Pale Ale was brewed with Maris Otter, Munich malt, and some Light Carastan, and hopped with both Nugget and East Kent Goldings to approximately 45 IBUs. A double dry-hop dose of more EKG should give this English IPA plenty of earthy, floral hop aroma and flavor. Weighing in at 6.2% ABV, look for this one to be released at the brewpub sometime around March 10th, just in time for St. Patrick’s Day. • And finally in YB news, Nardia and Liam have just brewed a Saison. Currently unnamed, this dry, spicy/fruity Belgian-style ale was brewed with both Pilsner and Honey malt, as well as an addition of Belgian Blonde candi sugar. Hopped entirely with the Saphir variety, it’s currently fermenting with no temperature control, which is common for traditional takes on the style; the warm fermentation temps allow the Belgian yeast strain to give off plenty of aromatic and flavorful esters (fruity) and phenols (spicy). Once primary fermentation is complete, the beer will be transferred to secondary for an extended aging period… it should be available on tap in the last week of April. While it’s still early in the process, look for it to come in somewhere around 6.3% ABV. • Pump House is releasing a new beer of sorts, just in time for Mardi Gras. Black Voodoo Ale is a 50:50 blend of their 4 Alarm IPA and Muddy River Stout; the combination of the dark roasted malts and hoppy flavors and bitter finish will give a beer somewhere along the line of a Black IPA. This will be on tap only at the brewpub on Orange Lane in Moncton, from today until next Saturday, Feb 28th, so if you’d like to give it a try, get down there! • Propeller Brewing‘s Irish Red Ale has made a return! Brewed with Pale, Crystal, Melanoidin, and Roasted malts, and hopped with Willamette to 25 IBUs, this ruby red-colored ale combines “roasted malt sweetness with an earthy hoppiness for a full-flavoured, yet balanced brew”. This popular beer will be available for growler fills at both Prop Shop locations, on tap at select beer bars/restaurants in the HRM, and in 650 mL bottles at the private stores, and for the first time, the NSLC. • Also, Propeller has just released another One-Hit Wonder beer, Imperial ESB. Similar to their regular-release ESB, this is a bigger, fuller-flavoured brew, with a “more pronounced malt character”, according to the brewery. Brewed with 2-row, Wheat, Crystal, and Chocolate malts (which give a “subtle malt sweetness blending with hints of chocolate”), and hopped with Warrior, Willamette and Fuggles for an increased hop presence over their regular ESB, this dark amber/copper-coloured ale comes in at 6.2% ABV and 38 IBUs. It’s available today at the Dartmouth Prop Shop for growler fills, and shortly at the Gottingen St location. • As mentioned briefly last week, Garrison Brewing’s Beer Dory had docked in Newfoundland, and the brews have been flowing ever since. This includes the Imperial Chocolate Stout, brewed specifically for the Beerthief Special Order Beer Club: 10% ABV, featuring lots of dark malts, and Cacao Nibs for a roast and chocolate bomb. Proceeds from the sale of the beer will go to a fund for the family of Sarah Turpin, a member of the Beerthief group, who passed away in the fall. In addition to that beer, Garrison also sent over their IPA, Red Ale, and Black IPA. To check the Garrison inventory at an NLC near you, visit the NLC’s website. And we can tell you that they kept some Imperial Chocolate Stout for us thirsty locals, and it has been released at the brewery and the four private stores in HRM today. • Garrison will be releasing another new beer this weekend, This is Radio Wheat! CKDU Anniversary Ale. The 4.6% ABV American-style Wheat Ale features 40% wheat in the grain bill, for a hazy, light-bodied and easy-drinking beer. It was brewed to celebrate CKDU Radio Station’s 30th Anniversary. It will be one of the beers pouring at the Ladies Beer League “Rocks Off” event at the Mayflower Curling Club Saturday night, and will be available in bottles at the brewery and private stores shortly. • Building on previous events held in Halifax, owner Adam Bower of The Grand Banker Bar & Grill in Lunenburg will be hosting a Winemaker vs Brewmaster event on Saturday, March 7th. Pete Luckett, owner of Luckett Vineyards and Daniel Girard, Brewmaster of Garrison Brewing, will be choosing five of their own wines or beers to pair with the Grand Banker’s five course menu. Attendees will sample the food and beverages, and then vote for their favourite by way of a bottle cap or cork. Tickets for the event are $112 including tax and gratuity, available online, by phone (902-634-3300), or in person at the Grand Banker. • Taking a queue from successful events held in Fredericton, Halifax will be hosting its own Beer Run April 26th, called Strides & Suds for a Cure, in support of JDRF. This 5 or 10 km run will take place along the First Lake Trail in Lower Sackville and end in a social with samples of craft beer and entertainment. We will have more details for runners shortly, but in the meantime, the JDRF is currently looking for sponsoring breweries to take part. If you are interested, please contact Alanna. Have a great weekend, and after shoveling, be sure to refresh yourself with some local craft beer! As we mentioned previously, 2014 Canadian Brewing Awards Gold Medal winner The Wreckoning Russian Imperial Stout is back on tap at Rockbottom Brewpub in Halifax. Definitely do not delay with grabbing this beauty, as this is the last batch to be brewed, ever. Beer fans in Yarmouth and the surrounding region, take note that Rudder’s Seafood Restaurant and Brew Pub will be closed for two weeks while some minor, but necessary, renovations are being made to the kitchen and bar areas. In last minute beer news, Harvest Wines has set up a Growler Station at their Dartmouth location. They have just received their custom-printed growlers from the good folks at Jym Line Glassware, and they will also fill anyone’s clean 1.89l growlers. Currently flowing is: Boxing Rock Vicar’s Cross, and Wild Axe Pils, Tatamagouche Brewery Dreadnot Black IPA and Sea Level Rojo Mojo Red.